A thirst for whisky can become an obsession. When one delves deep into its world - nosing, tasting, discussing, note-taking, collecting, more discussing, writing, traveling, the near Beatlemania level of fandom for favorite producers - whisky moves far beyond a mere hobby. It becomes a passion, a way of life. One can even say that whisky is a language unto itself. 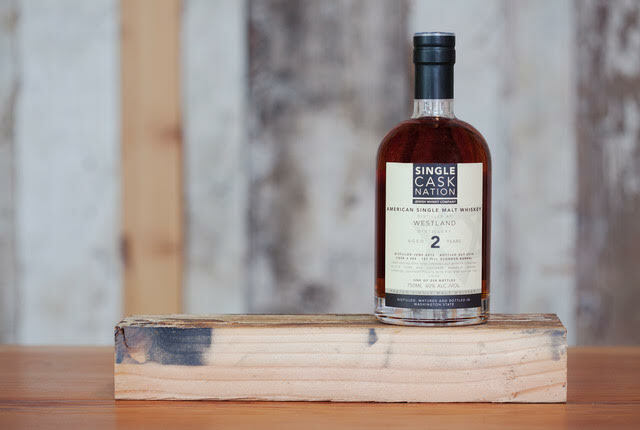 Single Cask Nation, founded by Joshua Hatton and Jason Johnstone-Yellin, is an independent bottling company that was conceived out of that level of shared passion. SCN is a way for these two whisky lovers to work with so many of their favorite producers, and share an excitement about those whiskies. They are basically an American-based version of the traditional Scottish independent bottler (Johnstone-Yellin also happens to be a Scotland native now living in the states), selecting individual casks (hence the name) to be bottled in limited editions under their own label. The company has grown considerably since it started back in 2011. Recently, aside from the bottles available for purchase online and through their whisky club (open for all to join! ), SCN has branched out to include a line of offerings that are sold exclusively in select retailers around the states. They also have a podcast, One Nation Under Whisky, which aims to differentiate itself from the typical whisky nerd-along with a more hands on approach. Episodes have even included activities such as selecting casks for a bottling with Wild Turkey master distiller Eddie Russell. Oh, and speaking of tastings, as if they weren't already busy enough, the fellas, who happen to be Members of the Tribe, have started their own successful consumer tasting event - Whisky Jewbilee. It started a few years ago as a WhiskyFest New York satellite tasting (with the fest’s permission) to offer a chance for enthusiasts, who were unable to attend the event that year and the one subsequently because it was held during the Jewish weekend sabbath, to taste drams with some of the producers and brand representatives who would be pouring there. In recent years, Whisky Jewbilee has been a separate affair, convivial and well attended by whisky fans of all backgrounds, held in June in New York. It has now expanded to Seattle and Chicago. 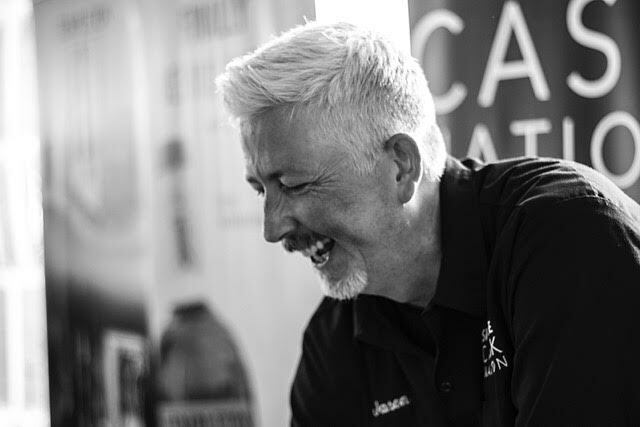 I spoke with SCN founders Joshua Hatton and Jason Johnstone-Yellin about being whisky-obsessed single caskers, what it means to be an independent bottler and how it all came about in the first place. Amanda Schuster: How did you two meet? Jason Johnstone-Yellin: It was your classic blogger meets blogger story. I had another product I was trying to sell him for his group, a product called WHISKYHost. He had a group in Connecticut. The product wasn’t the right fit, but then he and I continued to talk afterwards. And given we both wanted to run blogs, we talked about sharing samples. We then ended up with so many samples that to this day we still haven’t caught up with all of them. We honestly thought there was going to be a day we ran out. We were worried about it! It just. Never. Happened. Joshua Hatton: To think there were a few nervous calls where I’d be on my lunch break and give you a call and say, "I have a few more blog posts I need to do this week and I’ve got no-thing." JJY: Well, it started out with reviewing what was on our own shelves, with my tasting group in the Pacific Northwest and then his tasting group in Connecticut. But it really was getting down to, “What have you tasted?” and then we started making contacts with industry folk, and that was the end of ever being worried about having samples again. AS:How did it evolve into actually bottling your own whisky? JH: That was me. Some time in 2010 I got it in my head that I wanted to change what was a growing passion into something that I could transition to as a job. I was in a job that I was not passionate about [selling industrial storage products] and doing all these trade shows… but I loved whisky. It was one of those things I couldn’t stop thinking about, but in a healthy way… When you get into something, you’re fully into it and you want to learn and dig and try to educate yourself as much as possible. So many people that are into whisky get incredibly passionate about it. You end up talking about your life and your “whisky life” - all of a sudden it’s something different. So I wanted to do something with whisky and Jason and I had been sharing samples of independent bottlings. He had quite a history point of knowledge with independent bottlers and my own education had been growing over a couple of years. Wouldn’t it be cool to start an independent bottling company here in the U.S.? At the time there really weren’t any except the Scotch Malt Whisky Society of America, but that’s just the U.S. arm of a U.K. company. While you’ve got producers like High West at the time and some others, those are NDPs - they’re producers that just don’t distill. JJY: It was interesting for us too in that we were buying independent bottlings. So we’re buying from Signatory, Douglas Laing, Gordon & MacPhail and all of that… It was interesting being in the U.S. and knowing they had no tradition of that. If you read Fred Minnick’s book on the history of bourbon, he talks about how it was all brandy all the time in the very beginning. The juice might be made by distillery X, but when it was sold, the goal was it would disappear. It would just appear under somebody else’s brand. So it was interesting for us to kind of establish an American independent bottler in the Scottish tradition that would fly in the face of what is the American tradition. It still happens to this day people ask “Are you really doing anything here? This just seems like the laziest enterprise anyone could do with whisky… So you buy a cask, you put it in a bottle, then you sell it…” Because we have our name Single Cask Nation and the name of the distiller on the bottle, that really draws their attention. “So you just bought and filled this Glen Moray.” They don’t realize at first it’s more complicated than that. AS: How do you convey this to people who are first approaching this type of product? We have our NDPs here, and with many people that seems to be acceptable if it’s done right (with transparency in source material), but what you guys are doing is a completely different concept. JJY: Really it’s just trying to explain that to people. So we use the Scottish model in explaining what we’re doing. And trying to take great care in presenting transparency. You have to explain they were made at all different distilleries. In my bad moments I think there’s a willful ignorance there where people are just winding me up! But in my better moments, I take a step back and try to retrain people from what they know. “Okay, you know Scottish blends. Now let’s look at single malts. Now what about those individual casks? That’s what we’re looking at. This is one of 250 bottles. “Oh that doesn’t sound like very much at all.” And that’s how we can explain where the area of specialization comes into this. We put the distillery front and center in this. Yes, we are Single Cask nation, but we also want you to know about Arran, Glen Moray, Amrut, whoever it happens to be… when we talk to independent bottlers in Scotland, they want to show a different side of a known distillery. For instance, I’ve always been a Laphroaig consumer, and getting something from an independent bottler is often a way of getting something off the beaten path from Laphroaig. Now that we bottle Laphroaig, I am showing that off the beaten path side of Laphroaig, while it is also saying to people: THIS IS LAPHROAIG!!! AS: How do you decide what’s going to be in the next grouping? JH: There are a few things that come into play. We have to look backwards and forwards to figure that out. We want to make sure the casks we select that the portfolio is wide enough so there’s a peated one, not peated, there’s something like Amrut, a Glen Moray, something American [such as Catoctin Creek and Westland]… Here’s 6 casks, and another 6 casks. What is that showing people? JJY: The important thing for us is that we have a consistent thread running through all of our selections. Now, whether that’s interesting types of maturation like 8 years in bourbon followed by 4 years in pinot noir (like our original Arran 12 YO) or 6 years in bourbon and a further 6 years in Madeira (our latest Glen Moray 12 YO) or it’s young peated Islay in refill bourbon or it’s crisp and fruity first-fill bourbon, whatever it happens to be, we want to release offerings that are varied but that have a place within the larger scope of our releases. Hence the looking backward and forwards that Joshua was discussing. We're looking forward to the next Whisky Jewbilee in New York City on June 15th! If you will be in town, you can purchase tickets for it here.